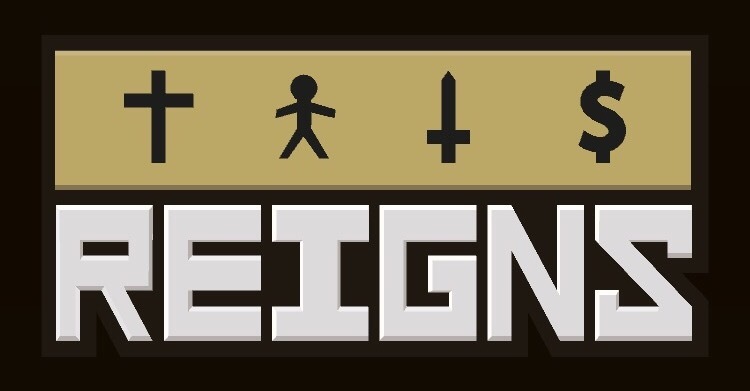 This guide will show you all the Royal Deed objectives in Devolver Digital & Nerial’s Tinder-like kingdom management game Reigns on iOS, Android and PC. I’m only missing the Writer — I’ll fill that in when I have it. I have guides for achieving some of these (click on the links to find them), but if you need help with others, just ask and I’ll do my best to help. See my list of special status effects. I got so close to getting that but I must have chosen the wrong choice at the end and it didn’t give me the achievement. It’s very vague. I can post the screenshots. Maybe they’ll help you until I get it again. Turns out I had it but the game bugged out and didn’t give me the objective. Yep, got that already. 🙂 There’s a part with the vase later that’s part of tricking the devil, though. That’s what I’m working on. Ugh! Does anyone know how to complete the “see the future” objective? You just need to meet the Seer. Have the dog take you to the caravan. The eternal is indeed govern for 200 years. There’s only one person on the leaderboard who’s done it so far. So it’s not going to be easy! Hmm… I often govern for a while, but I always get the old age thing, and end up dying of old age. How can I belay that? I’ve gotten that even when I haven’t governed that long, so I’m not really sure what triggers that death. Hmm interesting thought. I’ve only gotten that ending 2-3 times, though. I can’t remember which choices I made in those games. But that sounds like a pretty solid theory. How can I get my colony to stop killing me with excessive wealth and military power? How does one get the Coward? I think I’ve gotten it a couple different ways, but one is to refuse to stop killing witches when the witch asks you to. I’ll see what I can do about the deaths, since I got all of them. But I don’t have all the cards and that would be kind of insane to try. Most card packs are related to objectives, though. You get a card where the Bishop tells you he needs you to build a Cathedral. Say yes, and after a few years he’ll return and say it’s built. I’m not sure if certain cards will make that one come up, though. Can someone please tell me how to lose a limb? I can’t seem to find anybody to cut off my hand! You need to get sick and the doctor tells you he needs to cut off your hand. I’ll try to see if I have screenshots of the actual cards to give you more details. You have to go hunting and get sick, then say “get the doctor!” And he’ll cut off your hand about 8 in 10 times you do that. Every single time my character dies. I’ve tried it with a hospital, without a hospital, with high stats, with low stats, with everything in between. When you ‘recruit’ the skeleton, Klok I think his name was, he’ll occasionally appear and ask if you need help with anything. If you say no, he leaves and comes back later. If you say yes, he’ll boost one of the four symbols and leaves, BUT he does come back and asks you if you need help. If you say yes when you have a death wish, the game ends with tricking the devil. When the musician offers to write you a song, swipe left to get him to offer a different one until he offers a song to boost up your army. How do I get to date miss tarascol? How do I end a crusade? It’s getting really frustrating.